Thread with a breaking strain of around 400g at least double most competitors. 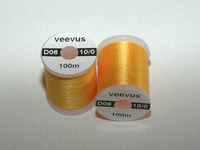 Another superb thread from Veevus, They can be unwound easily for use as a split thread and they have a small amount of stretch which is forgiving helps hold materials down snugly. Its very tough and nicely spooled. Approximatley half the size of 6/0. A lot stronger than anything else about. A good high strength all round thread. 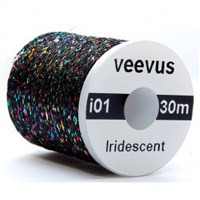 Great strong thread which can be unwound easily for use as a split thread and they have a small amount of stretch which is forgiving helps hold materials down snugly. Its very tough and nicely spooled. Its construction is a cross between a floss and a thread which means it can also be used for tags, tails, hot-spots, wings and heads. 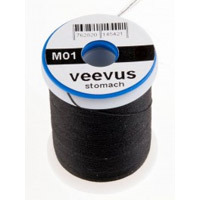 It is easily twisted tight or loose and split to insert whatever dubbing-type material you might want to bind down. This stuff takes thread bodied flies to a whole new level. But wait there's more, what if the fly, say a Clouser had this thread tied in at the head? Or what if it was furled and used as an extended body? What about ribbing? Terrestrials? The list goes on. Available in12 different colours. Spool size is 30m. 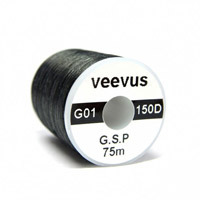 G.S.P (Gel Spun Polyethylene) is by far the strongest thread on the planet after the Veevus thread. In difference to other brands the Veevus G.S.P. 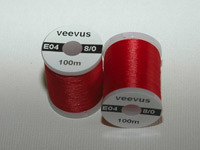 thread has been designed with a slight twist preventing it from opening up, and thereby making tying with it a breeze. 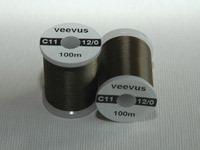 It lays completely flat and is the smoothest thread to spin hair with. It is currently available in 2 colours in the following sizes, 200Denier, 150Denier and 100Denier. 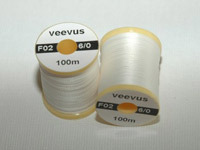 Also Veevus are the first to offer a 30Denier GSP(This size is available in white only). 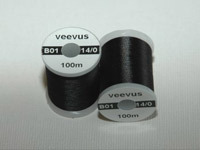 Each spool contains 75m which is 67% more thread than offered by anyone else in the industry. 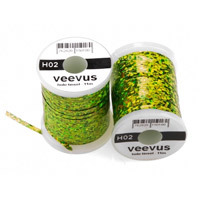 The holographic tinsel is just like Veevus threads, stronger than their competitors. Furthermore, it does not lose colour or split up when stretched. It is available in 3 sizes and 17 colours. 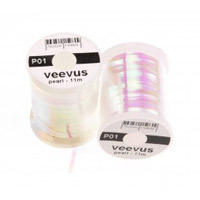 The pearl tinsel is just like Veevus threads, stronger than their competitors. It is available in 3 sizes.